Piccadilly’s is a delightful cafeteria. You can make this classic lemon icebox pie at home. It is easy to do, and everyone will enjoy this tangy refreshing dessert. Make a lemon icebox pie just like Piccadilly Cafeteria. Crumble cooled prepared cake and measure 2 cups of crumbs, pat crumbs lightly down when measuring. Place crumbs in a small bowl and mix in the sugar. Spray a none stick spray in 9" pie pan and pat cake crumbs in pie pan along the sides and on the bottom. Place pie crust in a preheated oven at 275 for 7 minutes. Watch crust carefully so the crumbs will not scorch. This process will help to lightly set the crust. When done remove and cool crust. Filling In a 2-quart saucepan mix sugar, flour, salt, and milk. While stirring constantly bring ingredients to a low boil and cook for two or three minutes until filling becomes thick. Remove pan from heat and add 1/2 cup of hot mixture to beaten egg yolks and whisk together. Place filling back on stove at a low heat and slowly pour egg yolks into filling while whisking together. 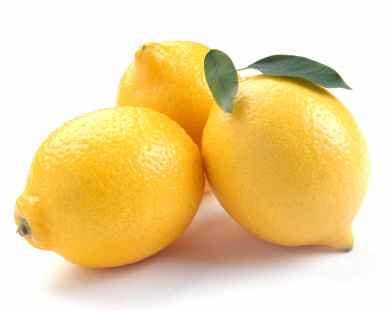 Pour lemon juice and vanilla into filling and bring to a soft boil and cook for two to three minutes long. Using a whisk throughout the cooking helps to eliminate lumps. When filling is thick remove from heat and set aside to cool down. The filling may be poured into the crust while still a little warm but not hot. Place pie in refrigerator for several hours to set and chill completely. When chilled, top with whipped topping and sprinkle the two tablespoons of crumbled cake crumbs. Fresh lemon zest may be added to garnish. Please note if you can not find Jiffy Cake mix, you can use a regular cake mix, but you will have twice as much crust than you need. So making two pies might be a solution. Hello! Just wanted to let you know that this is NOT the recipe for Piccadilly’s Lemon icebox pie. The filling is made of 3 ingredients. Sweetened condensed milk, egg yokes, and lemon juice. The crust is ground vanilla wafers, sugar, and melted butter. Pretty much a basic Key lime pie recipe, only made with lemon juice! BTW their Key Lime Pie they did make years back is this recipe with a few drops of green food color! Happy Baking!! When i read the recipe i said the same thing. I make my pie with the same 3 ingredients as my Daddy taught me. i use graham cracker crumbs, instead of the vanilla wafers. But i will definitely use the wafers next time, b/c thats the best part of Piccadilly’s lemon pie.